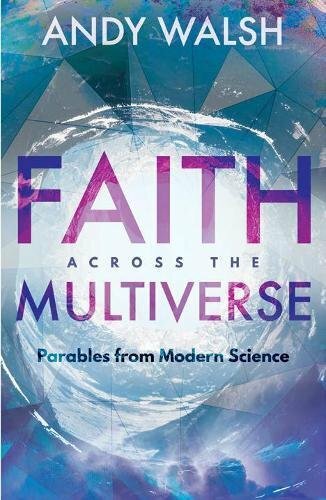 Andy Walsh, Faith Across the Multiverse mixes fiction (usually science fiction of a sort), math, science, and the bible to explore our understanding of the Christian faith and the ways it can be made to live in our times. This is not some “new” gospel or modernized faith, rather it is using imagery and understanding to tell the same story again. Parables, as it were, for the 21st century. In chapter 3 he tackles grace, determinism, and the sovereignty of God. The theme of grace can be found in a number of stories – often tied directly to biblical themes. Walsh points to a story line in the X-factor comics by Peter David where Rahne Sinclair was found by grace (Road Trip #237 Road to Redemption). 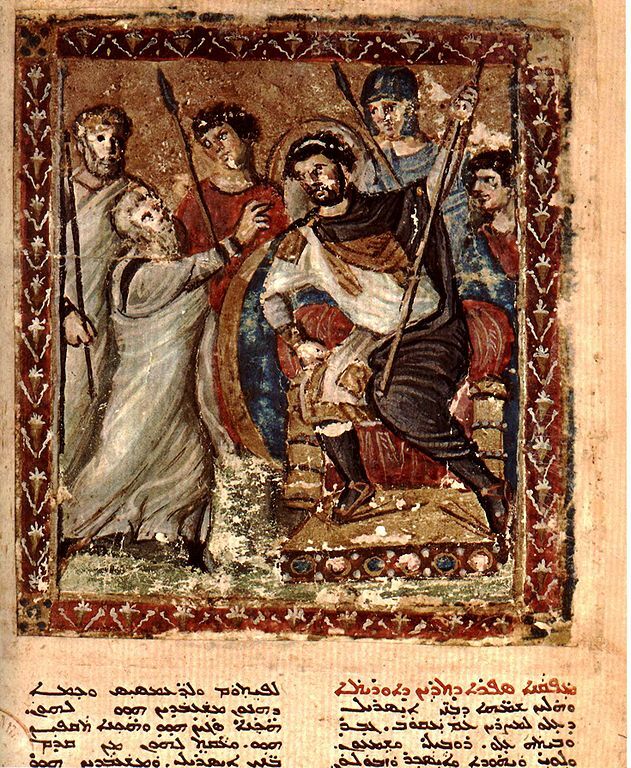 A few years ago my husband brought another story to my attention (he even suggested that I post on it sometime), this one Man-Kzin Wars XIV that starts off with a story “A Man Named Saul,” and distinctly Christian themes of forgiveness and redemption. “I spent my entire life screwing up” von Hohenheim said bitterly … It took a lot of walking and thinking and talking to the abbot to see it, but What shall it profit a man if he gain the whole world and lose his own soul?” A gift of mercy, an awareness of the wretched smallness of his soul, and a chance to make amends. Grace requires failure – and an element of freedom. “Rather than insisting that we conform to a particular mold, God accepts us as we are and tells a story of our lives that weaves into his overall story for the universe – at least if we agree that we want him to do so.” (p. 66) But, Walsh asks, are we free to do what God wants? or even to fail to do what he wants? These are stories and if we take them seriously – as conveying elements of truth through story – we confront the issue of God’s sovereignty and our (free?) action. The tension is not only found in stories of our own making such as the two alluded to above, or the Lord of the Rings, or many others we could name, but also in the pages of the Bible. Walsh points to Moses in Exodus 4:10-14 as an example (here I’ve included v. 15). Then the Lord’s anger burned against Moses and he said, “What about your brother, Aaron the Levite? I know he can speak well. He is already on his way to meet you, and he will be glad to see you. You shall speak to him and put words in his mouth; I will help both of you speak and will teach you what to do. Perhaps math and science can come to the rescue here and help us reconcile these competing ideas (God’s sovereignty and our freedom). We tend to think in terms of simple equations. Walsh elaborates on how we use an understanding of the parabolic motion of a thrown ball to predict location and make the catch – or event to follow the trajectory with our eyes and estimate the landing position. This is deterministic. A given initial condition produces an intuitively predictable result. But complex systems are not so simple. Thomas Robert Malthus predicted a catastrophic situation where populations inevitably increase exponentially overwhelming any increase in the production of food. But populations growth doesn’t follow this simple exponential behavior. Many other factors come into play. And other mathematical models are available with capping behavior on populations, with multiple stability points … or even so-called chaotic behavior, with exquisite sensitivity to initial conditions. God is not constantly adjusting to our decisions to keep his plan on track, but we still have real freedom to choose for ourselves. We simply do not have the ability to change the overall trajectory of God’s creation and redemptive plan. Many biblical stories come to mind, consistent with this general idea. People choose and God’s plan moves forward without fail because he is faithful to his promises. Walsh recalls the story of Esther as one example. When Esther was reluctant to approach King Xerxes (Ahasuerus) regarding Haman’s plot to destroy the Jews Mordecai responded “Do not think that because you are in the king’s house you alone of all the Jews will escape. For if you remain silent at this time, relief and deliverance for the Jews will arise from another place, but you and your father’s family will perish. And who knows but that you have come to your royal position for such a time as this?” (Esther 4:13-14) Mordecai is convinced that God will preserve his people, although some individuals could suffer destruction if Esther failed to act. Creation has the genuine freedom to choose other than God’s will. At the same time, the system will tend toward those ends that God desires to see. That does not imply God is indifferent to our choices, allowing those ends to justify whatever means are used to reach them. Rather, God has the means to bring all things to a redemptive end regardless of how grieved he is by our choices. A gracious universe is also a universe in which life is possible. We too can practice grace by expecting and allowing for disruptions and failure as we live in God’s creation in anticipation of the consummation of his will. Does the idea of chaotic behavior and strange attractors shed light as a useful metaphor for God’s sovereignty and our freedom? You may also comment on A Matter of Grace at Jesus Creed. This entry was posted in Problems for Faith and tagged Andy Walsh. Bookmark the permalink.